An expedition voyage by small ship to Antarctica is the antithesis of a traditional cruise. It's all about getting off the ship and up close to the exotic wildlife, icebergs and jaw dropping scenery - prepare for a sensory assault like no other destination. 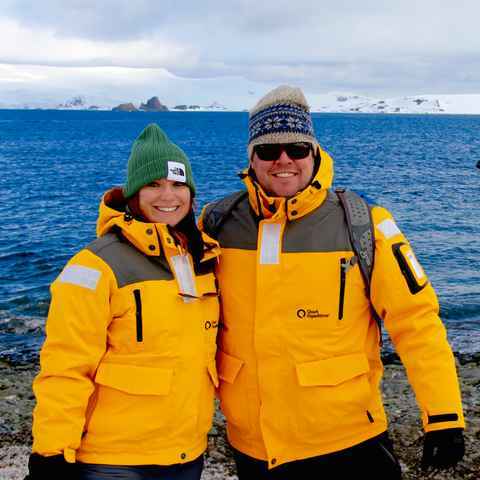 Sailing to Antarctica: What do I need to know? 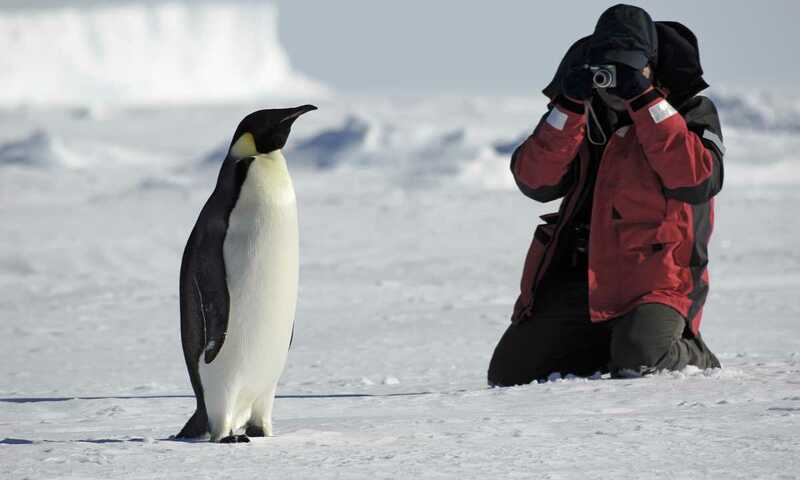 With many years of experience, Swoop is adept at helping match our customers to exactly the right Antarctic trips. When is the best time to cruise to Antarctica? 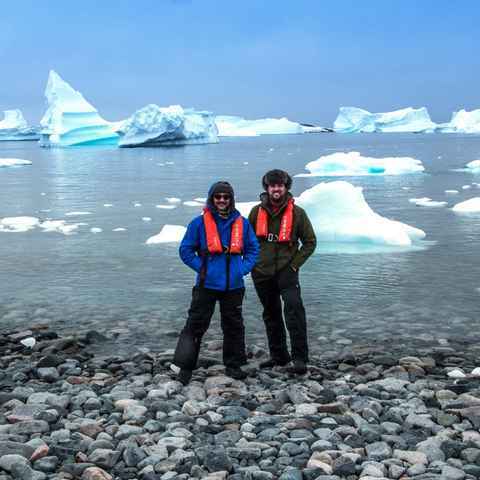 Choosing when to visit Antarctica is a crucial part of the planning process​. Once you've ​decided which year you plan to travel, the next step is to work out the actual timing of your visit. It's then important to be aware of the distinctive weather and wildlife characteristics of each month, as the timing of your trip will heavily influence what the wildlife is doing then, and local ice and weather conditions. The early explorers had no option, and were grateful for whatever vessel they could commission, but modern day Antarctic visitors are spoiled for choice. Not only can you choose your mode of transport to get there - by ship or plane to Antarctica - but there’s also a wide variety of boats, from former Russian research vessels to luxury yachts boasting 24/7 butler service. Given the considerable amount of time which you’ll be spending on the ship, it's well worth investing the time to finding exactly the right one. What will I do and see on my Antarctic expedition? 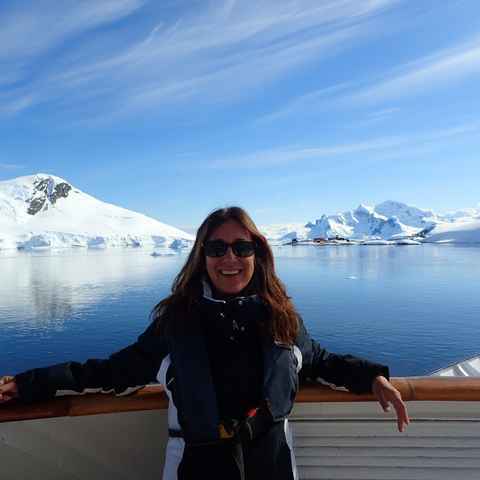 Prepare to be busy on an Antarctic voyage! 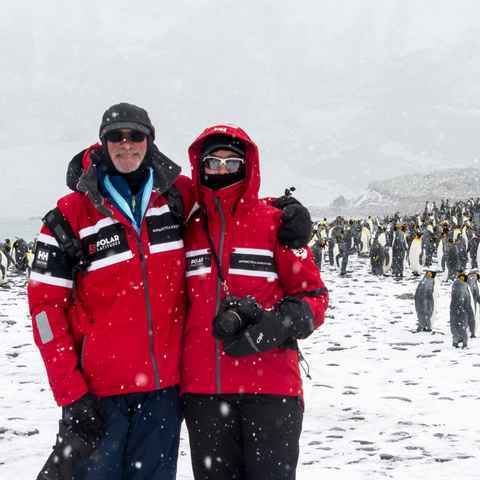 Once you’ve arrived in Antarctica the backbone of each day is taken up by the off-ship excursions, of which there are normally two daily of between 2-3 hours long. These are either ‘landings’, where you go ashore to visit a penguin rookery or a place of historic interest, or a zodiac cruise when you’re on the lookout for wildlife and photographic opportunities. 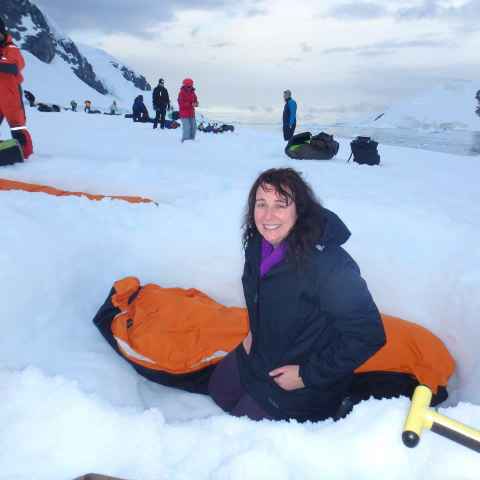 There are often optional adventure activities - including kayaking and camping - as well as the ‘Polar Plunge’ and a programme of lectures delivered by the expedition team. A trip to Antarctica is a big ticket item in anyone’s book, so it’s important to have a firm understanding of the likely costs before you start getting too carried away. What’s the average percentage cost difference between travelling during High to Shoulder season? How much more expensive is it to fly to Antarctica, rather than to travel by ship? Swoop can help to guide you. We've traveled to 87 different countries, and this was without a doubt our favorite destination. Of all the cruises we've been on, we spent more time out on our balcony on this trip than all the rest combined. The scenery changes so much, you don't want to miss anything. We saw countless whales from our balcony. And icebergs of every shape imaginable. We were extremely fortunate to link up with Swoop. We planned this trip at the last minute and I do not believe we would have found the right trip, right boat, or the right cabin. Loli knew that we were on our honeymoon and went out of her way to make sure we had the right cabin. Swoop was fantastic. We were provided with great service, efficient and quality responses to our many questions. Swoop found us the perfect expedition to match our interests and budget. Alex even followed up with us throughout the process and called us the day of our departure to wish us a wonderful trip. The level of expertise and knowledge that Alex has is incredible and he helped us select the perfect trip for our needs and expectations. I've never had such good service. John made this very hard decision so much easier by reassuring me of the incredible experience awaiting me and explaining every detail of the trip beforehand. If it wasn’t for John, I seriously do not know if I would have had the courage to go on this trip alone. Swoop was phenomenal! I am so happy and grateful I booked with Loli and the Swoop team. Loli answered all of my questions and due to her first-hand experience with the trip, she was able to offer terrific guidance and helpful insights. I felt completely looked after and prepared for my trip. I have visited 89 countries and islands and Antarctica was my final continent. 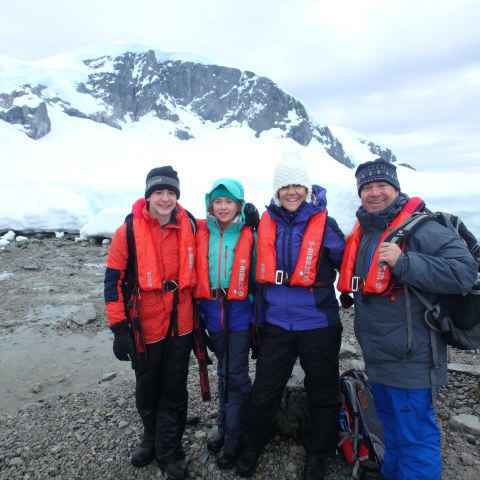 Without doubt, the Antarctica and Falkland Islands trip was the best experience, holiday and adventure I have ever had. In a word, it was sensational. Everything was terrific: the ship, the "hotel" and the expedition team. You (John) are greatly loved among multiple crew folks. And we share that enthusiasm for you because your natural joy is infectious. If you have never been there, there is no way of preparing for the impact of being there. The untouched, natural beauty, the mighty icebergs, the silliness of the penguins. You will be spending hours just sitting in one spot adoring the view. I think the only prerequisites for enjoying this trip are curiosity and realistic expectations about shipboard life: understanding that it is an expedition, not a cruise. Kayaking made it for me. My biggest surprise was beaching on an iceberg and a snowball fight! I've been to over 150 countries but still wasn't prepared for Antarctica. Put simply it blew my socks off - a full blown sensory assault. It's impossible to exaggerate Antarctica's magnificence and the indelible mark it leaves. While there’s a minimum age limit on certain ships, there’s certainly no upper age limit - as long as you are fit and healthy, and feel capable of clambering in and out of the zodiacs, you’ll be fine. The average age of Antarctic travellers is approx. 50 - 75 year old, however this is falling with every season. 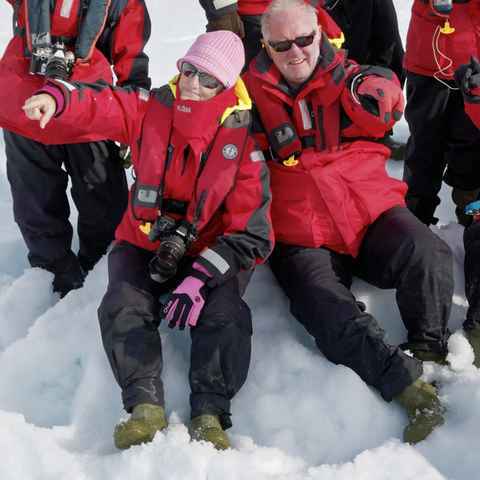 The majority of Antarctic cruises aren’t physically demanding and definitely fall into the ‘soft adventure’ category. Walking distances are fairly short, particularly on the Antarctic Peninsula, and when longer walks are available they are optional and will be offered alongside shorter ones. For more active travellers, optional adventure activities (kayaking, camping, etc) are widely available on most voyages. There are also select departures like Basecamp Adventure specifically designed for the active traveller. To be confident of securing your first choice you need to be ideally booking 12 - 18 months in advance, or as early as the departure dates are released. The popularity and limited number of departures of Fly & Cruise and South Georgia cruises in particular makes it even more important to start the booking process for these early. This may seem excessive to those who don't typically plan this far ahead, but on an Antarctic trip when places aren’t infinite, the need to book early is crucial to avoid disappointment. Where do Antarctic cruises leave from? 99% of Antarctic trips depart from ushuaia in southern Argentina and Punta Arenas in southern Chile. These are the main gateways to Antarctica and the Southern Ocean. 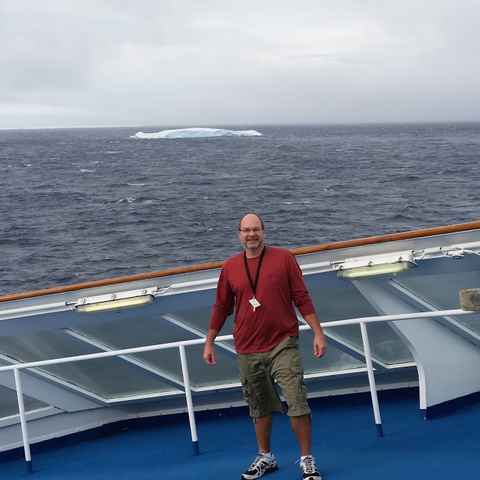 Is the Drake Passage as bad as it sounds? The Drake has a reputation, and not without reason as approx. 30% of voyages experience rough weather, however it can also be surprisingly placid too ('The Drake Lake'). The reality for the majority of our customers is that it's rarely as bad as it sounds, and it's certainly a 'price' well worth paying. If avoiding The Drake altogether by flying to Antarctica sounds a bet, we have firsthand experience and can help. For the ultimate adventure, join a cruise that crosses the Antarctic Circle at 66 Degrees South and visits some of the most beautiful landmarks both north and south of the Circle.